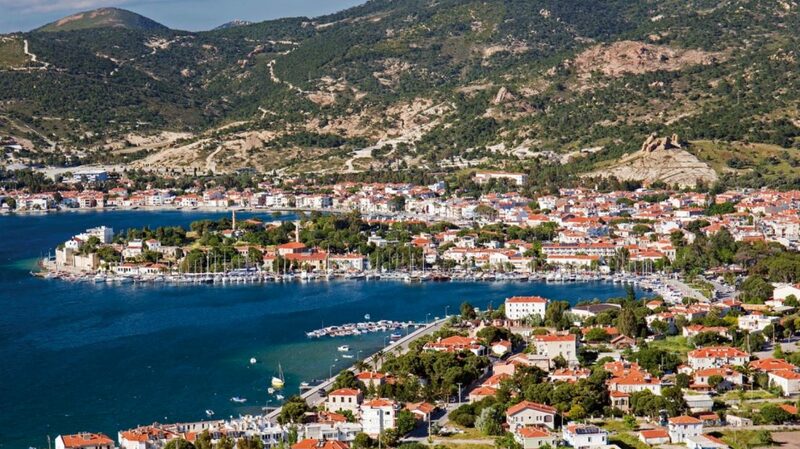 Foça is a town and district in Turkey’s İzmir Province, on the Aegean coast. 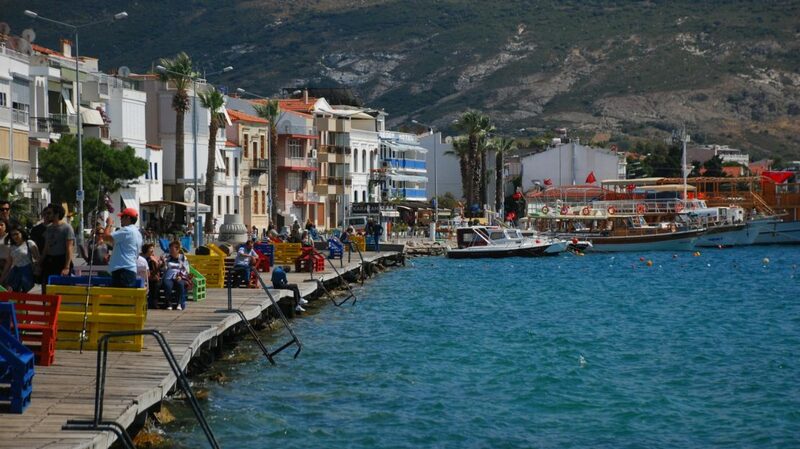 The town of Foça is situated at about 69 km (43 mi) northwest of İzmir’s city center. 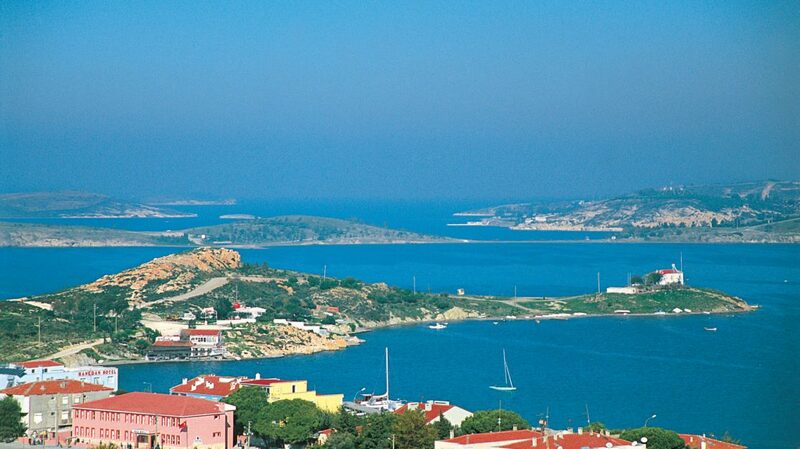 The district also has a township with its own municipality named Yenifoça (literally “New Foça”), also along the shore and at a distance of 20 km (12 mi) from Foça proper. 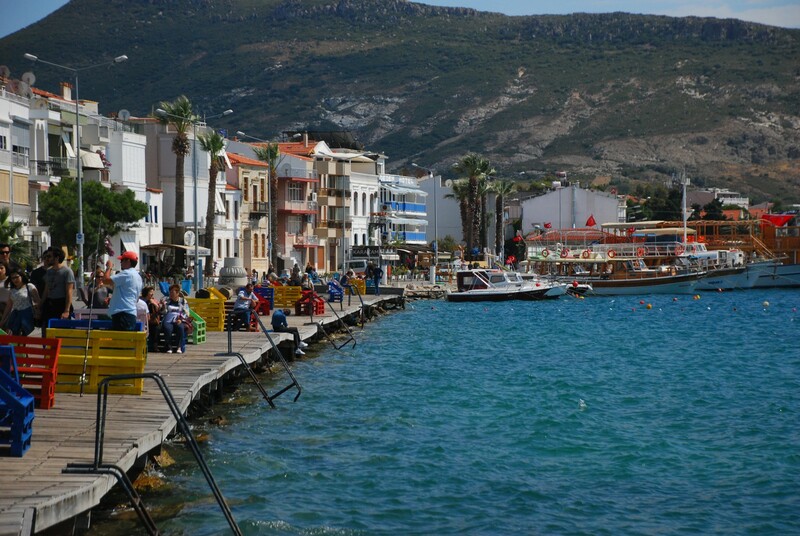 For this reason, Foça itself is locally often called as Eskifoça (“Old Foça”) in daily parlance. The ancient city of Phocaea (Greek: Φώκαια) is located between the two modern Foças. 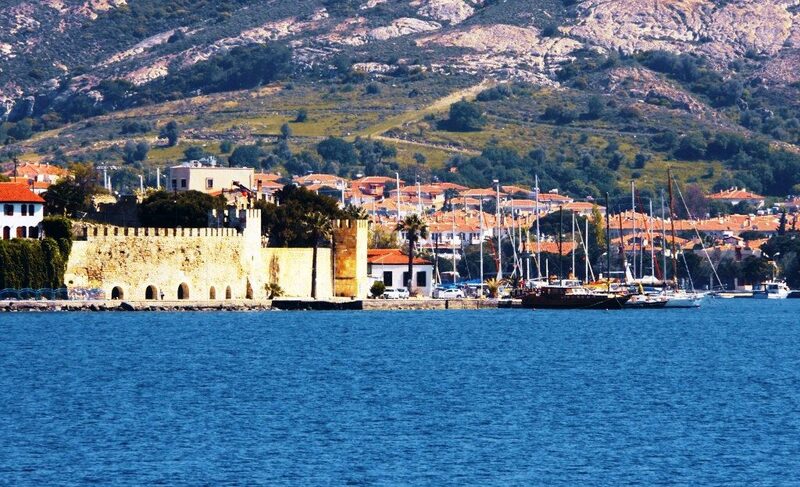 Foça was taken over by the Genoese in 1275 as a fief from the Byzantine emperor, and was an active Port during the Middle Ages, principally due to the region’s rich alum reserves. 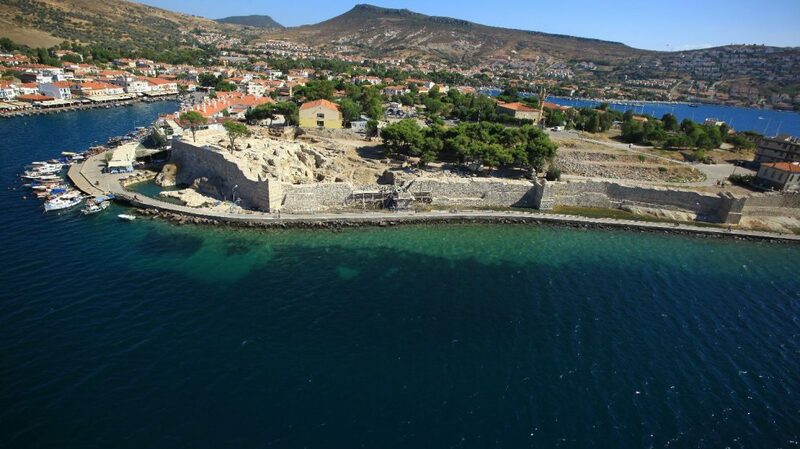 The alum mines of Foça were conceded earlier by the Byzantines in 1267 to the Genoese brothers Benedetto and Manuele Zaccaria. The Genoese controlled the city even during the Ottoman era due to the lease they had gained from the Byzantines in 1275. Another important Byzantine concession to the Genoese through dowry was the nearby island of Lesbos, given to the Gattilusio family as a result of the marriage between Francesco I Gattilusio and Maria Palaiologina, sister of Byzantine emperor John V Palaiologos) in 1355. The possessions of the Gattilusio family eventually grew to include, among others, the islands of Imbros, Samothrace, Lemnos and Thasos, and the city of Aenos (modern Enez in Turkey.) From this position, they were heavily involved in the mining and marketing of alum, useful in textile production and a profitable trade controlled by the Genoese. The city was mostly populated by Greeks until the Massacre of Phocaea carried out by the Turks during the Greek Genocide. As a result, a large portion of the historic city was destroyed, and all the old churches were destroyed and mosques were built on top of them. 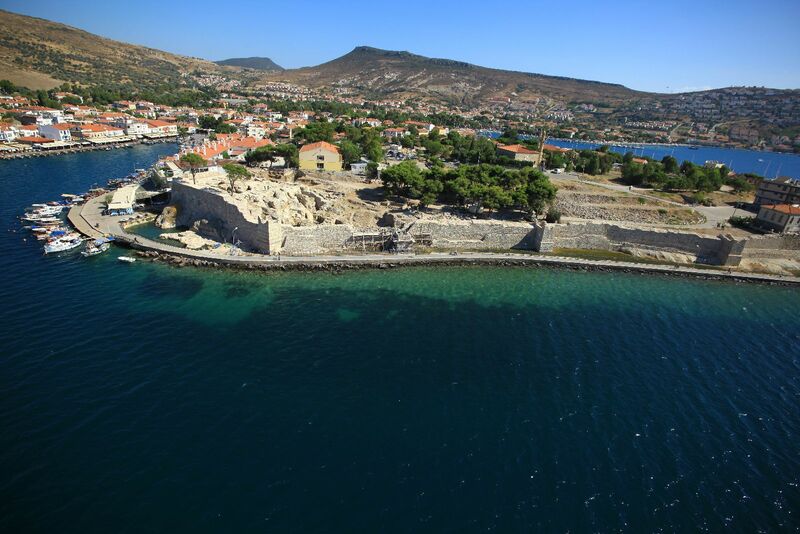 Eski Foça stretches along two bays; a larger one named Büyükdeniz (“Greater Sea”) and a smaller cove within that large one, named Küçükdeniz (“Smaller Sea”), where the medieval castle is also located. 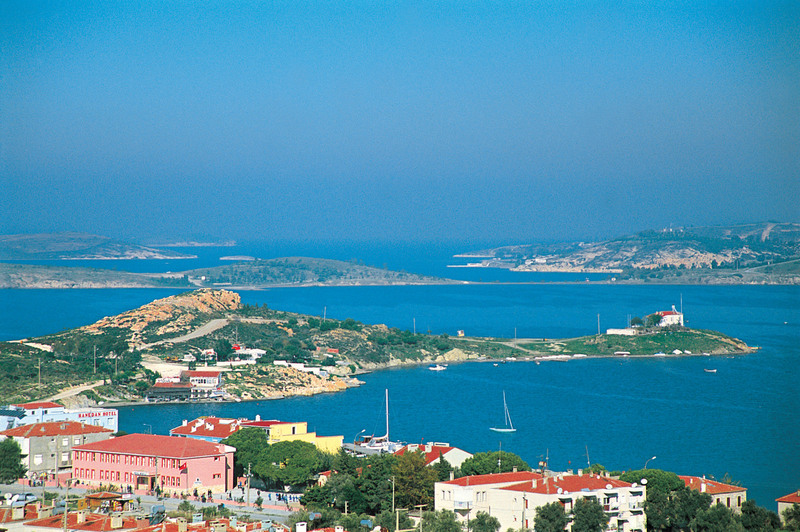 Many parts of the district are under strict environmental protection, due to the value of the flora and the fauna, and the beauty of the small bays and coves, especially between Foça and Yenifoça. Therefore, a judicious way to get to know the district would be by boat tours regularly organized in partance from the town center. Because of the protective measures, new constructions are not permitted in many parts of the district and Foça is set to preserve its unique characteristic as composed principally of old houses. 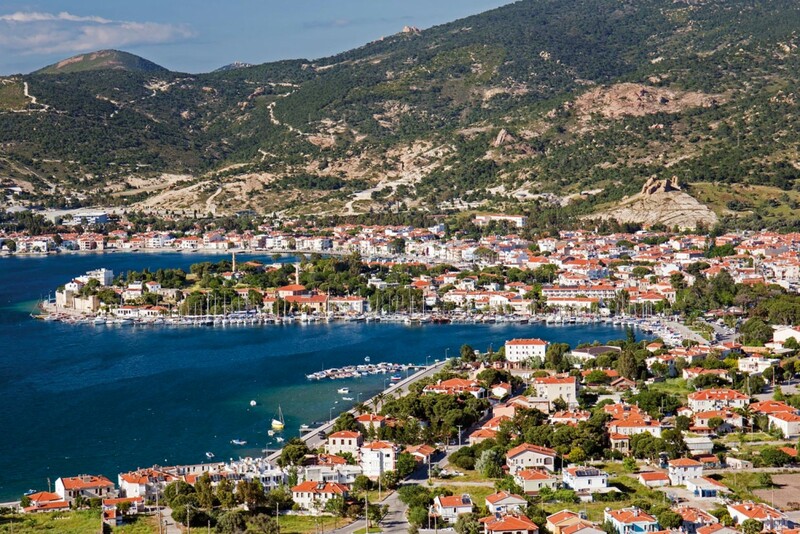 The construction project for a 300-boat capacity marina in Foça is recently tendered and started, upon the completion of which the town is expected to open to more active international tourism. 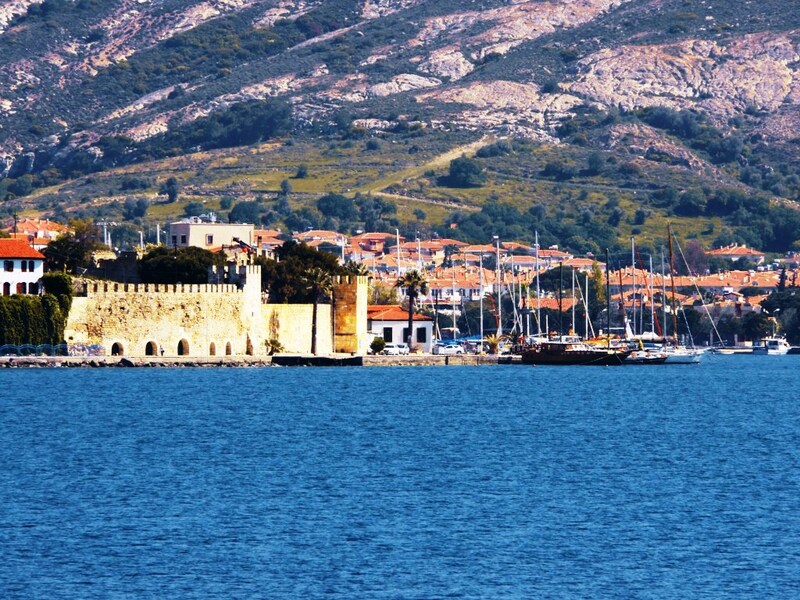 Foça is the site of one of three marine protected areas established in Turkey for the preservation of the Mediterranean monk seal, a heavily endangered species of sea mammals. The Turkish Navy maintains at Foça the home base of its two special operations units, Su Altı Savunma (SAS) and Su Altı Taarruz (SAT).